One managed device and 1GB or storage are always completely free so you can start using our service for free immediately on one of your Pis. info-beamer hosted is a true cloud services: There are no upfront or minimum costs. There are not even complicated plans you have to choose from. Instead we grow with your usage. You only pay for the number of managed devices and storage you use each day. For the exact costs, visit our pricing page. Why use the Raspberry Pi? The Raspberry Pi is a widely available and really affordable device. It has been proven to be very reliable. During the lifetime of our info-beamer hosted service, Raspberry Pi devices served multi-million hours without problems. Our service was explicitly built from the ground up for digital signage and we make full use of your Raspberry Pi. Other professional signage hardware devices usually cost at least two to three times more than a Raspberry Pi. And they lock you in to a single vendor. A Raspberry Pi together with accessories required costs around 80 € and it's a general purpose device you fully control. A Chromecast or FireTV stick is slighly less expensive but you're at the mercy of their vendor for future system updates and compatibility. Signage solutions are then bolted on and can't fully control the device, leading to various limitations in what you can do with them. A full PC or NUC costs a lot more than a Raspberry Pi. It's hard to make sure that no Windows Update or similar interruptions affect your signage output. In addition a normal PC running Windows draws a lot more power and is vastly more complicated to manage and set up. Our system can be installed in 3 minutes. Not only is the Pi itself an affordable choice - it also draws only very little power - the power cost savings alone are probably enough to pay for the info-beamer hosted service. We make it easy for you to get started. All you need is a Raspberry Pi. They are widely available and can be easily purchased online or in various brick and mortar stores all over the world. You only need the parts from the list we've prepared. Once you have your Pi, running our info-beamer hosted software is really simple. There are additional hardware options that have a Pi built-in like the professional signage displays from NEC or the various panels powered by the Artista IoT hardware. If you need small panel combined with a Pi you might even use the CM3 Panel. 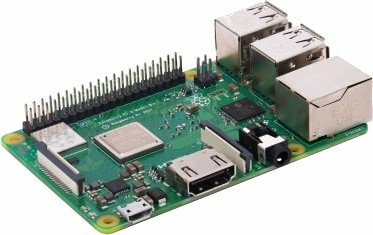 If you don't have a Pi already, getting your first one is pretty straightforward. You don't need to build complicated hardware as it's just a Pi itself and case. It couldn't be easier to get a device up and running. The total price for a Raspberry Pi ready to run info-beamer hosted is around 80 € or your regional equivalent. This is a lot less expensive that other specialized digital signage hardware solutions and incredibly more affordable than running any full featured PC or Apple device. If you need help while setting up your first device, be sure to reach out to our friendly support. 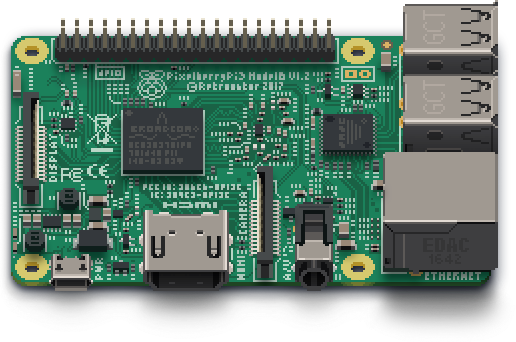 The first thing you'll need is the Raspberry Pi itself. The cost of a Raspberry Pi is around 35 €. It's usually recommended to also purchase a case for your Raspberry Pi. There are lots of different options available. 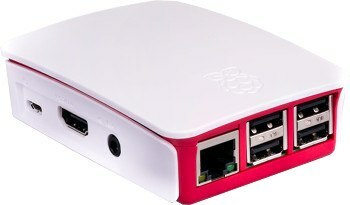 The official Raspberry Pi case pictured below costs around 8 €. Of course every electronic device needs a power supply. 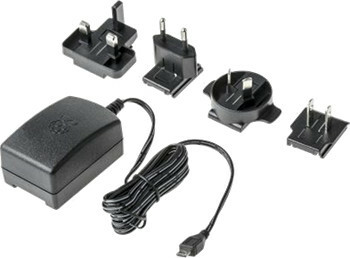 The official Raspberry Pi power supply is our recommended solution and costs around 10 €. The final piece required is a good micro SD card. A capacity of 8GB or 16GB is more than enough for almost all installations, so don't waste money on larger cards. 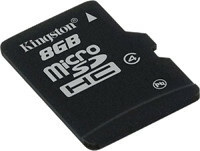 We recommend SD cards from SanDisk or Kingston. The price for those is around 10 €.